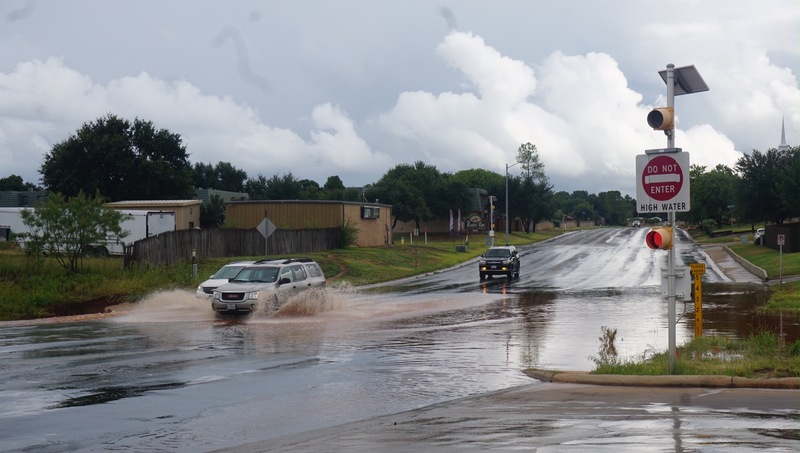 SAN ANGELO, TX -- Recent rains have saturated the soil in parts of the Concho Valley and the National Weather Service is forecasting heavy rain Sunday and Monday. According to the NWS, The best chance of showers and thunderstorms will be mainly along and south of a line from San Saba to San Angelo to Ozona today. North of this line look for scattered showers and thunderstorms. The main hazard will be heavy rainfall that could result in localized flooding, especially in urban and low lying areas. Dangerous lightning, gusty winds and pea size may also accompany the stronger storms today. Very heavy rains and flash flooding are possible Sunday into Monday. A few rounds of showers and thunderstorms with increased coverage and very heavy rain are expected to begin Sunday morning and continue into the day Monday. With the potential for soils to be saturated and rainfall to be excessive, a flash flood watch may be required. The area of most concern is east of a line from Ozona to San Angelo to Abilene. Rainfall amounts across much of West Central Texas are forecast to be between 2 and 5 inches with isolated higher totals possible. It is important to remember that very heavy rain can result in flash flooding of low water crossings and low lying areas. The forecast rainfall amounts may change as additional data becomes available. my used ford doesn't like this. I ran through some deep water, then it started going squeaky squeaky, squeak squeak. I dunno people were just waving. it almost paid for and I will own the title. but I doubt it. San Angelo is in the dead zone. It goes North or South or East or West of us. How long it will be before some damn fool hydroplanes and causes an accident?